Could this be the weirdest-looking hotel in the world? 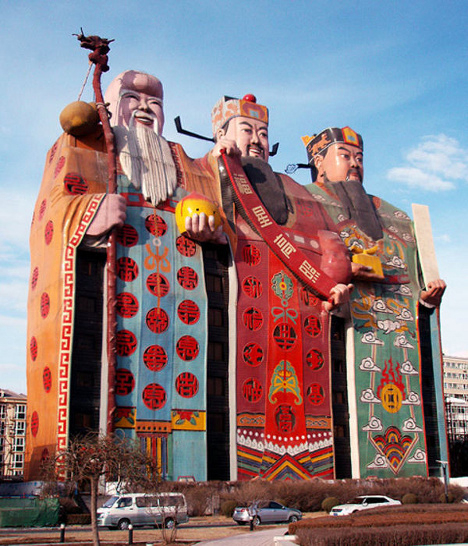 Ten stories tall, the Tianzi Hotel in Hebei Province, China holds the world record for the world’s “biggest image building”. The three figures that make up its hulking shape are Fu Lu Shou – good fortune, prosperity and longevity.